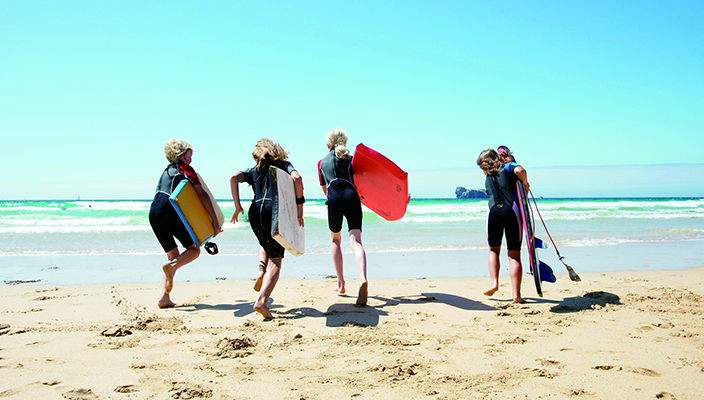 KidStart Magazine > Family Life > Holidays & days out > I want to book a family holiday, but where can we go? I want to book a family holiday, but where can we go? One of the few things that might bring a smile to my miserable, detoxing, post-Christmas-skint face would be booking a family holiday. There are lots of great holiday deals around at this time of year so it’s the perfect time to organise a break and give the family something to look forward to. But I’ve hit a problem – with a big age gap between my kids, I’m wondering where can we go that we will all love and enjoy. The teenager wants shops and live music, the 8 year old loves trees and space, I want to read books and explore sights, my husband wants to drink good wine and swim. How do I please everyone or have I set myself an an impossible task? We’ve tried skiing, but the youngest complained that everything was ‘too slidey’ and I got stuck upside down in the snow after messing up my ‘elegant ski-lift dismount’. We went to France and it bucketed down with rain for the ten days we were there. Then the sewage tank at the accommodation overflowed into the gardens so we resorted to taking the kids on a tour of the local 13th Century monolithic church which featured unexpectedly gruesome human skeletons *shivers*. The children had nightmares for weeks. We went to Spain and there was a forest fire, a dog fainted from heat exhaustion in our driveway and I got food poisoning from some scrambled eggs. As a result of my hideous egg incident, I was too ill to travel to our final destination so our youngest had to sleep in a suitcase. (It’s a very long story). Maybe we should stay at home? If you have any recommendations on where we can go that will keep a teenager and a little one occupied let me know! For now we’ll be checking the Travel & Holidays section on KidStart.